What is the deal with end of fall watering and mulching? End of fall/early winter is the perfect time to water your plants to strengthen root growth in order to have a stronger plant through the winter months. You may have to wait until spring to see positive new growth, but you can be sure that beneath the surface there is root growth taking place. Also, going into winter it is important to mulch all plants and give them a nice blanket for the winter. Mulch can be put down any time of year, but doing it in the late fall/ early winter is especially helpful before snow falls and the ground begins to freeze. As the ground freezes and thaws the mulch will continue to biodegrade, providing needed nutrients for plants. Mulch fosters rapid root growth and maximizes the benefits of fall watering. A great idea for homemade mulch is to use the fallen leaves in your yard. Instead of worrying about bagging your leaves, use your lawn mower to mulch the leaves and spread them all over your yard, focusing on flower beds and other shrubs and bushes. Mulching leaves saves time and money. You won’t need to pay to dispose of the leaves, and you won’t need to pay for mulch from the store. Use mother nature’s gift of fallen leaves to make “homemade” mulch. 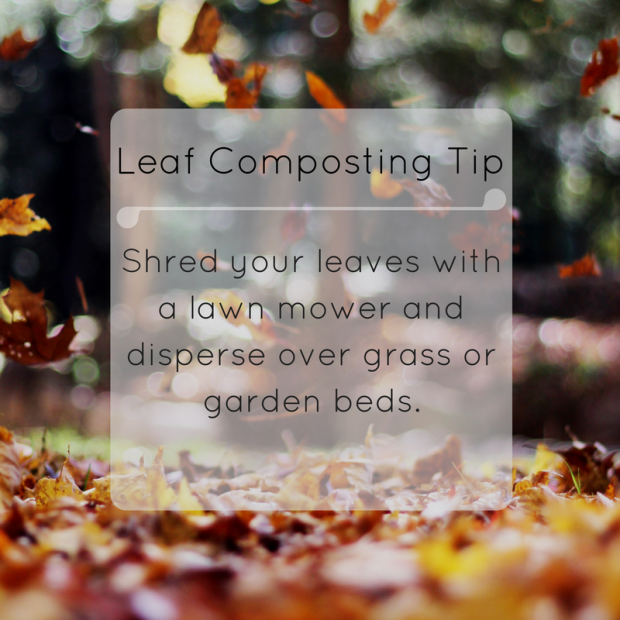 You may need to spread the leaves out in a thin layer to mulch them when you go over them with a lawnmower. If you do this now, the leaves will have almost biodegraded completely by the spring. Have you learned more about end of fall watering and mulching than you ever thought possible? Us too!